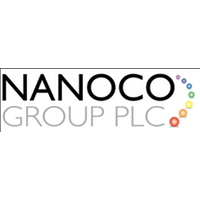 Following a formal tender process, Nanoco Group PLC (LON: NANO) has today announced the appointment of PwC LLP as its new auditor with effect from the current financial year ending 31 July 2019. Ernst & Young LLP have now resigned as auditor of the Company and its subsidiaries following the completion of the 31 July 2018 audit. EY did not participate in the tender process having been auditor to the Group for ten years since 2008, nine of which the Company was a listed entity. In accordance with section 519 of the Companies Act 2006, EY has deposited a statement with the Company detailing the circumstances connected with them ceasing to hold office as auditor of the Company. The Statement confirms that EY resigned as auditor following the competitive tender. The appointment of PwC as auditor for the current financial year has been made by the Directors to fill the casual vacancy arising on the resignation of EY. This appointment will be subject to approval by shareholders at the next Annual General Meeting of the Company to be held in 2019. Nanoco Group PLC harnesses the power of nano-materials. Nano-materials are materials with dimensions typically in the range 1 – 100 nm. Nano-materials have a range of useful properties, including optical and electronic. Quantum dots are a subclass of nano-material that have size-dependent optical and electronic properties. The Group produces quantum dots. Within the sphere of quantum dots, the Group exploits different characteristics of the quantum dots to target different performance criteria that are attractive to specific markets or end-user applications such as the Display and Electronics markets. One of the interesting properties of quantum dots is photoluminescence: the emission of longer wavelength light upon excitation by light of a shorter wavelength. The colour of light emitted depends on the particle size. Nanoco’s CFQD® quantum dots are free of cadmium and other toxic heavy metals, and can be tuned to emit light at different wavelengths across the visible and infrared spectrum, rendering them useful for a wide range of applications including displays, lighting and biological imaging.